A sunroom, also known as a room extension, garden room and other variations, is a structure that is either incorporated or attached to a property such as a home, office or restaurant that facilitates enjoyment of the adjacent landscape while being sheltered from the unfavourable weather. Your outdoor area or outside patio can be transformed into a glass sunroom in Sydney. This entertaining area of yours will become a focal point for health, relaxation and family fun. It is just like having a picnic spot in your home’s backyard. Complete Home Improvement can design a beautiful sunroom that will suit your precise needs and budget. A glass sunroom will provide you with the added outdoor area that you can use all through the year, ideal for open-air living and entertainment. 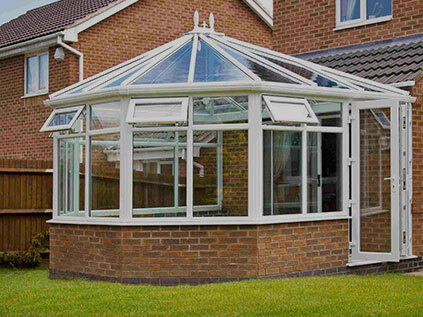 A sunroom extension can provide you protection from the weather conditions as well as birds and insects. In addition, a sunroom facilitates air circulation and a cool breeze in warmer weather and switches to complete protection in cooler months. At Complete Home Improvement, we’ll make sure your new outdoor living space flawlessly mixes with rest of your home’s style and generates a fabulous indoor-outdoor flow. As one of the best sunroom builder in Sydney, Complete Home Improvement designs and builds different types of sunrooms including glass sunrooms and sunroom extensions. Every choice is fantastic for bringing the outdoors spaces indoors and enjoying the sun without needing to go outdoors. When you add a glass sunroom or simple sunroom extension to your Sydney home, you will start using this part of your property all through the year, thus maximising its use, which formerly you used only for half a year. If you want to create an awesome sunroom extension for your sweet home in Sydney then Complete Home Improvement can actualise your dream, just give us a call on 1300 912 293 and speak to one of our experts today! You can also choose from our different home improvements products like outdoor window awnings, outdoor patio, outdoor decking, and pergolas in Sydney.